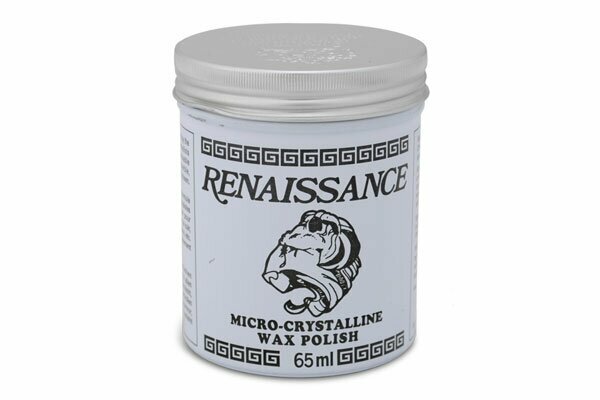 Renaissance Wax(OXRW1) Samurai sword maintenance toolkits, katana maintenance toolkits. The blend which emerged from that research was 'designed' for long term protection of all classes of museum exhibits. At last museum technicians and others caring for important collections could use wax polish that neither caused future conservation problems nor detracted from the intrinsic values of their treasures. Commercial production and distribution of the polish was ultimately undertaken in 1968 by the London-based company Picreator Enterprises Ltd. under its trade name 'Renaissance'. The product was quickly accepted in the international museum world and has become a universally respected standard conservation material - probably the most widely specified - because of its almost unlimited uses.